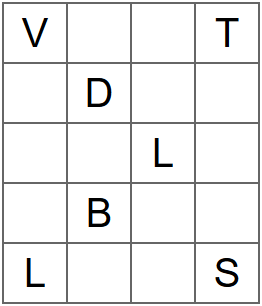 When completed, every row will contain a common English word with four letters, and every column will contain a word with five letters. All of these are common words that can be found in this list of the top 10,000 words in the English language. None of the words are names or abbreviations. Wasn't sure about ADOBE, so I checked the word list linked by OP, it's there! Not the answer you're looking for? 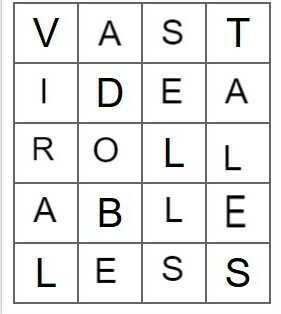 Browse other questions tagged word english grid-deduction or ask your own question.